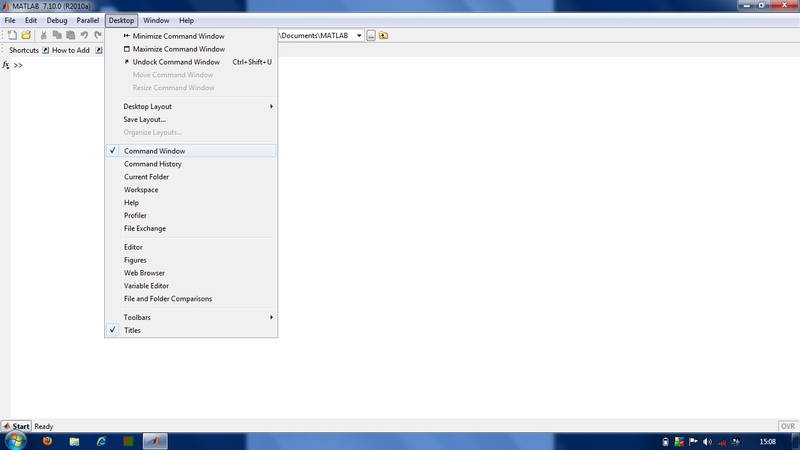 Creating a plot using the Workspace window. The Workspace window displays all the variables that you create, no matter what type they might be. What you may not realize is that you can right-click any of these variables and create a plot from them.... As far as I know the for-loop is even more excellent than what says in this text. As far as I know the matlab for-loop works similar to the for_each-loop that can be seen in many programming languages these days, or maybe the range-for in c++11. I'm trying to create a netcdf file with three dimensions (time, lat, and lon) and one variable, density which is a function of these. I can put the dimensions in the file successfully but when I try to put the density in, I get some major issues. If the global variable does not exist the first time you issue the global statement, it is initialized to an empty 0x0 matrix. If a variable with the same name as the global variable already exists in the current workspace, MATLAB issues a warning and changes the value of that variable and its scope to match the global variable. At the end of the FAQ it shows how to create a variable dynamically, for the rare case when you really need to do that. If you are not engaged in creating extensions to MATLAB itself, chances are that there is a better route than creating a variable dynamically. Hello all , My aim is to create a form , where I can provide values for the signals names and values given in the edit text box gets copied to the excel sheet corresponding to the signal name.